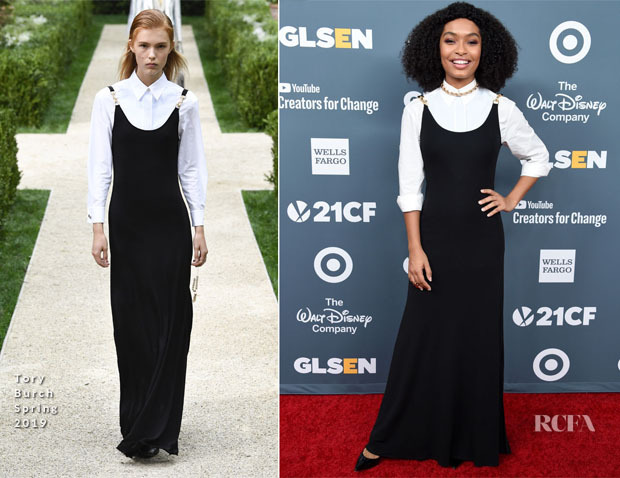 Yara Shahidi attended the GLSEN Respect Awards on Friday (October 19) in Beverly Hills, California, where she received the Gamechanger Award. We all know the ‘Grow-ish’ stars style to be edgy and youthful, but she opted to change tack with this Tory Burch Spring 2019 look. While I’m intrigued by the change of pace, my first thought was Sister Mary Clarence from ‘Sister Act’, such is the biblical nature of this look.